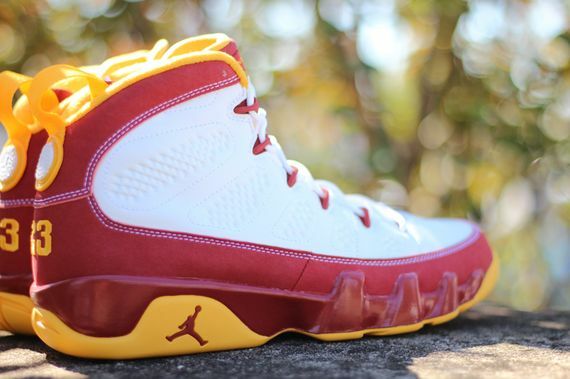 The Air Jordan 9 Bentley Ellis is the third edition of the Air Jordan 9 "Kilroy Pack." In an attempt to shine some light on the classic silhouette, Jordan Brand released a collection full of dope colorways and designs to help boost the liking of the Air Jordan 9. This particular rendition is named after yet another fictional character sporting a dark cayenne and university gold appearance. Contrasted by white on the base, the sneaker is a great overal design.